Whoever has got cats or has had in the past, can tell a lot of stories. Cats are like kids; they bring a lot of joy into our lives as well as sorrows. Our first two cats, brother and sister, had spent all their cat life in a small apartment with two nice young guys. The two cats didn’t know how much noise two boys could make. 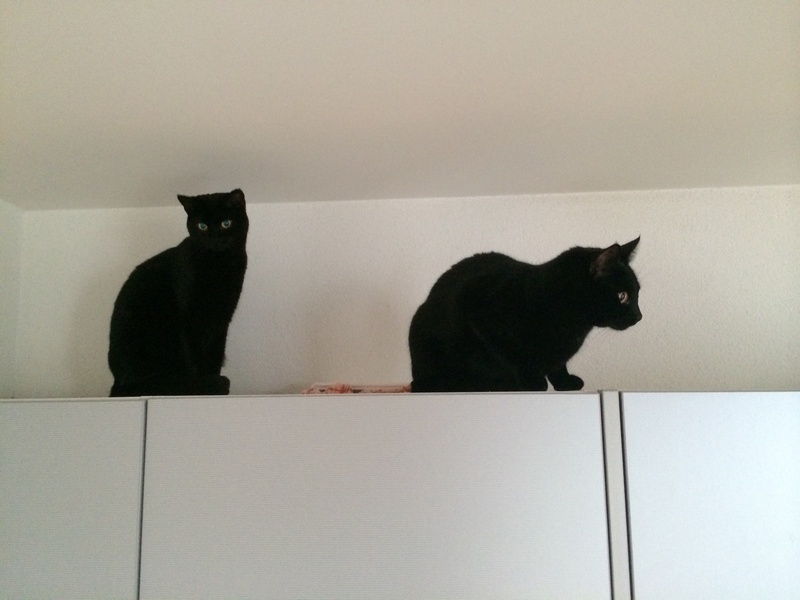 The only place they felt safe were the top of the cupboard in the kitchen. They even discovered a hole behind the fridge where they could easily hide for a day without being found. When they got the chance to explore our garden, they disappeared for weeks. Coming back the male got used to the noisy boys and our sofa; the female decided to live elsewhere and found a quiet place at an elderly woman’s house. Cats’ decisions are straight.